July 29, 2017 – OVW TV (Taped): Jessie Belle defeated Jaylee in a dark match. August 26, 2017 – OVW TV (Taped): Jessie Belle defeated Cali and Jaylee in a 3-way dark match. September 2, 2017 – OVW Saturday Night Special: Jaylee defeated Cali to win the vacant women’s title. September 16, 2017 – OVW TV (Taped): Adam Slade, Cali and Kevin Giza defeated David Lee Lorenze III, Jaylee and Randall Floyd. September 23, 2017 – OVW Saturday Night Special: Jaylee defeated Jessie Belle to retain the women’s title. September 23, 2017 – OVW Matt Cappotelli Benefit Show: Rebel defeated Cali, Jaylee and Torey Payne in a 4-way match. September 30, 2017 – OVW TV (Taped): Jaylee defeated Cali and Torey Payne in a 3-way dark match to retain the women’s title. October 4, 2017 – OVW TV (Taped): Cali defeated OVW women’s champion Jaylee in a non-title dark match. October 4, 2017 – OVW Saturday Night Special: Jaylee defeated Cali to retain the women’s title. November 4, 2017 – OVW Saturday Night Special: Jaylee defeated Jessie Belle to retain the women’s title. December 2, 2017 – OVW TV (Taped): Margarita And Moonshine (Jessie Belle & Maria James) and Jaylee defeated The Varsity Babes (Cali & Meg) and Torey Payne in a dark match. December 2, 2017 – OVW Saturday Night Special: The Varsity Babes (Cali and Meg) defeated Jaylee and Jessie Belle. December 9, 2017 – OVW TV (Taped): Jaylee and Torey Payne defeated Margarita And Moonshine (Jessie Belle & Maria James) and The Varsity Babes (Cali and Meg) in a 3-way tag team, dark match. December 16, 2017 – OVW TV (Taped): Jaylee defeated Cali to retain the women’s title. December 30, 2017 – OVW TV (Taped): Jaylee defeated Cali, Jessie Belle and Meg and Torey Payne in a 4-way match to retain the women’s title. January 6, 2018 – OVW TV (Taped): Margarita And Moonshine (Jessie Belle and Maria James) defeated Jaylee and Torey Payne in a dark match. January 6, 2018 – OVW Saturday Night Special: Jaylee defeated Torey Payne to retain the women’s title. January 20, 2018 – OVW TV (Taped): Jaylee defeated Cali to retain the women’s title. January 27, 2018 – OVW TV (Taped): Jessie Belle defeated Jaylee by disqualification. Jaylee retains the women’s title. February 3, 2018 – OVW TV (Taped): Dapper Dan, Stephon Smith and Torey Payne defeated David Lee Lorenze III, Jaylee and Randall Floyd in a dark match. February 3, 2018 – OVW Saturday Night Special: Torey Payne defeated Jaylee by count-out. Jaylee retains the women’s title. February 10, 2018 – OVW TV (Taped): Meg defeated Jaylee by count-out in a dark match. Jaylee retains the women’s title. February 17, 2018 – OVW TV (Taped): Jaylee vs. Torey Payne ended in a double count-out. Jaylee retains the women’s title. February 24, 2018 – OVW TV (Taped): Dimes and Jaylee defeated The Varsity Babes (Cali and Meg) in a dark match. March 3, 2018 – OVW Saturday Night Special: Jaylee defeated Torey Payne in a lumberjack match to retain the women’s title. March 10, 2018 – OVW TV (Taped): Jaylee defeated Meg in a dark match to retain the women’s title. March 31, 2018 – OVW TV (Taped): The Varsity Babes (Cali and Meg) defeated Jaylee and Valerie Vermin in a dark match. April 7, 2018 – OVW TV (Taped): Cali defeated OVW women’s champion Jaylee in a non-title dark match. April 7, 2018 – OVW Saturday Night Special: Jaylee defeated Cali to retain the women’s title. April 21, 2018 – OVW TV (Taped): The Varsity Babes (Cali and Meg) defeated Jaylee and Valerie Vermin. April 27, 2018 – OVW Run For The Ropes: Jaylee defeated Cali and Maria James and Meg and Torey Payne and Valerie Vermin in a gauntlet match to retain the women’s title. April 28, 2018 – OVW TV (Taped): Jaylee defeated Cali in a dark match to retain the women’s title. May 12, 2018 – OVW TV (Taped): The Varsity Babes (Cali & Meg) and Hayley Shadows defeated Margarita And Moonshine (Jessie Belle & Maria James) and Jaylee in a dark match. May 12, 2018 – OVW Saturday Night Special: Cali defeated Jaylee to win the women’s title. May 26, 2018 – OVW TV (Taped): Jaylee defeated Torey Payne. June 2, 2018 – OVW TV (Taped): The Bro Godz (Colton Cage & Dustin Jackson) and Cali Young defeated David Lee Lorenze III, Dimes and Jaylee in a dark match. June 2, 2018 – OVW Saturday Night Special: Cali Young defeated Jaylee to retain the women’s title. June 16, 2018 – OVW TV (Taped): Jaylee defeated Jessie Belle. June 23, 2018 – OVW TV (Taped): Cali and Jessie Belle defeated Jaylee and Valerie Vermin in a dark match. June 30, 2018 – OVW TV (Taped): Cali and Jessie Belle defeated Jaylee and Valerie Vermin. July 7, 2018 – OVW TV (Taped): Jordan Blade defeated Jaylee in a dark match. July 7, 2018 – OVW Saturday Night Special: Jaylee defeated Cali in a submission match to win the women’s title. July 14, 2018 – OVW TV (Taped): OVW women’s champion Jaylee defeated Valerie Vermin in a non-title dark match. July 23, 2018 – WWE Monday Night RAW: Bayley and Sasha Banks defeated Karen Lundy and Samantha Simon. July 28, 2018 – OVW TV (Taped): Valerie Vermin defeated OVW women’s champion Jaylee in a non-title match. August 4, 2018 – OVW Saturday Night Special: Jaylee vs. Rebel ended in a no contest. Jaylee retains the women’s title. August 11, 2018 – OVW TV (Taped): Jaylee defeated Nutty Nancy in a dark match to retain the women’s title. August 18, 2018 – OVW TV (Taped): Jaylee defeated Jessie Belle in a dark match to retain the women’s title. August 25, 2018 – OVW TV (Taped): Cali and Jaylee defeated Katie Forbes and Meg. Katie Forbes defeated OVW women’s champion Jaylee in a non-title match. September 1, 2018 – OVW TV (Taped): Meg defeated OVW women’s champion Jaylee in a non-title, dark match. September 15, 2018 – OVW TV (Taped): Jessie Belle and Meg Monroe defeated Cali Young and Jaylee in a dark match. September 22, 2018 – OVW TV (Taped): Jaylee w Cali defeated Meg Monroe to retain the women’s title. September 30, 2018 – OVW TV (Taped): Cali w Jaylee & Valerie Vermin defeated Brittany Garcia in a dark match. October 13, 2018 – OVW TV (Taped): Megan Monroe, ODB and Victoria defeated The It Girls (Cali, Jaylee and Valerie Vermin). October 20, 2018 – OVW TV (Taped): Cali w Jaylee & Valerie Vermin defeated Jessie Belle in a dark match. Jaylee and Valerie Vermin defeated Brittany Garcia and Meg Monroe in a dark match. October 27, 2018 – OVW TV (Taped): Jaylee w Cali & Valerie Vermin defeated Jessie Belle to retain the women’s title in a dark match. November 3, 2018 – OVW Saturday Night Special: Jaylee w Cali & Valerie Vermin defeated Meg Monroe to retain the women’s title. November 24, 2018 – OVW TV (Taped): Cali Young w Jaylee & Valerie Vermin defeated Brittany Garcia in a dark match. Jessie Belle defeated Jaylee w Cali Young & Valerie Vermin. December 14, 2018 – OVW Christmas Chaos: Brittany Devore defeated Jaylee w Cali & Valerie Vermin to win the women’s title. December 15, 2018 – OVW TV (Taped): OVW women’s champion Jaylee w Cali & Valerie Vermin defeated Brittany Garcia in a non-title, dark match. January 5, 2019 – OVW TV (Taped): OVW women’s champion Jaylee w Cali & Valerie Vermin defeated Brittany Garcia in a non-title, dark match. January 5, 2019 – OVW Nightmare Rumble: Brittany DeVore defeated Jaylee w Cali & Valerie Vermin by disqualification to retain the women’s title. January 12, 2019 – OVW TV (Taped): Cali Young w Jaylee & Valerie Vermin defeated Miss Hannah in a dark match. January 19, 2019 – OVW TV (Taped): Brittany Garcia and Jessie Belle defeated The It Girls (Jaylee and Valerie Vermin) in a dark match. January 26, 2019 – OVW TV (Taped): Cali Young defeated Jaylee. February 2, 2019 – OVW TV (Taped): The It Girls (Cali Young and Valerie Vermin) defeated Jaylee and Miss Hannah in a dark match. February 2, 2019 – OVW Saturday Night Special: King’s Ransom (Leonis Khan & Maximus Khan) and Brittany Devore defeated The Entourage 2.0 (David Lee Lorenze III & Shiloh Jonze) and Jaylee. 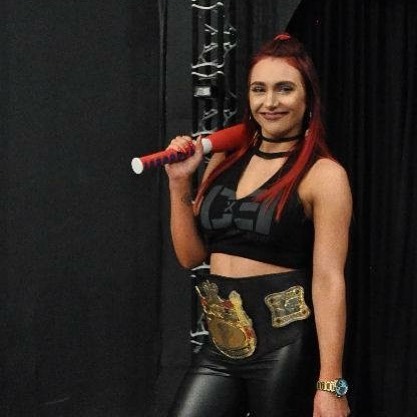 February 16, 2019 – OVW TV (Taped): Jaylee defeated Brittany Devore in a dark match to retain the women’s title. Cali Young defeated Jaylee to win the women’s title. March 2, 2019 – OVW TV (Taped): Brittany Garcia and Cali Young defeated Jaylee and Valerie Vermin in a dark match. March 23, 2019 – OVW TV (Taped): Cali Young and Maria James vs. The It Girls (Jaylee and Valerie Vermin) ended in a no contest. March 30, 2019 – OVW TV (Taped): Jaylee defeated Kaydee Knox in a dark match. 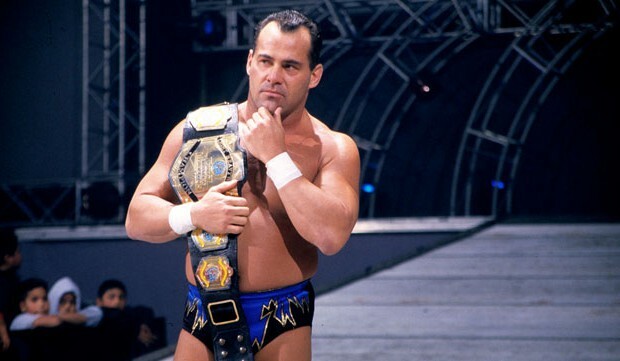 April 6, 2019 – OVW Saturday Night Special: Cali Young defeated Jaylee to retain the women’s title. Jaylee quit Ohio Valley Wrestling after the match.